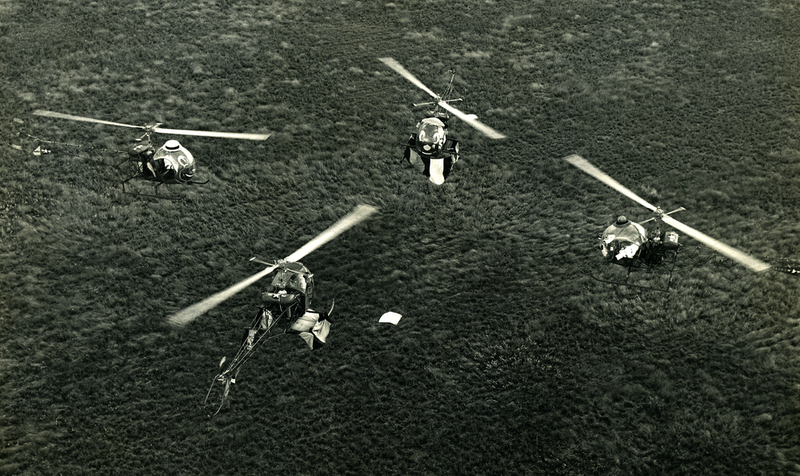 The "boy" helicopters, nicknamed Henry, had faces painted on the nose. Sometimes the pilots would use giant stove pipes and straw hats to add character to Henry. 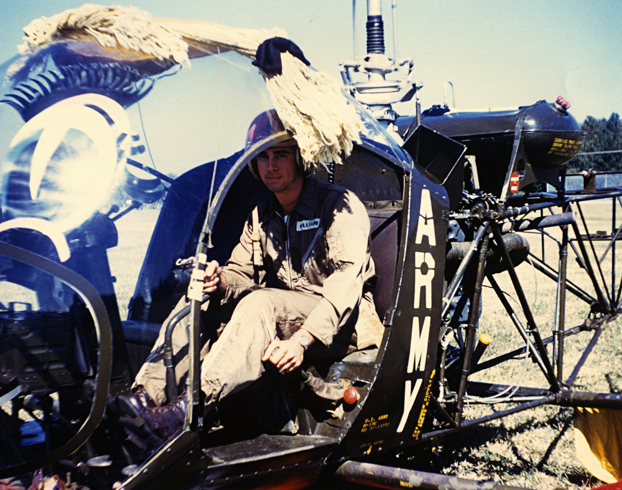 CWO Ned Gilliand in a "Henrietta" helicopter after a dress rehearsal. Listen to Cameron speak with Rhonda Vigeant from The Home Movie Legacy Project.